Please use the resources below to spread the word about your study! *The EPS logos can be used to create your own promotional materials for print, PowerPoint or the web. Parents- Take part in a parenting study by one of today’s leading family experts. 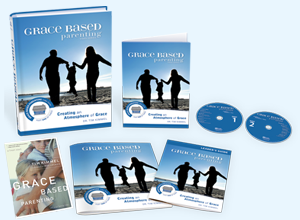 Based on the award-winning book by Dr. Tim Kimmel, Grace Based Parenting is a fun, fast-paced, biblical study that will give every parent what they need to make the most of their incredible opportunity of preparing their kids for a great future. 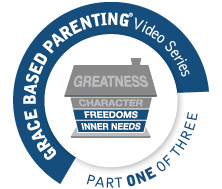 Grace Based Parenting will give every parent a fresh hope and the tools to create an environment in their home where everyone is reaching their potential. The result – spiritually strong children who grow up with a sense of calm and a heart full of purpose and confidence. Parents- Bring the best out of those you love the most! Based on the award-winning book, Grace Based Parenting is a refreshing new study that shows moms and dads how to love their kids the way God loves His – with grace! It gives parents a realistic job description for raising spiritually strong children who grow up with a sense of calm and a heart full of purpose and hope. Regardless of the health and dynamics of your family configuration, Grace Based Parenting works! When a participant uses the workbook along with the study, they will come away with key information tailored to their unique family situation.